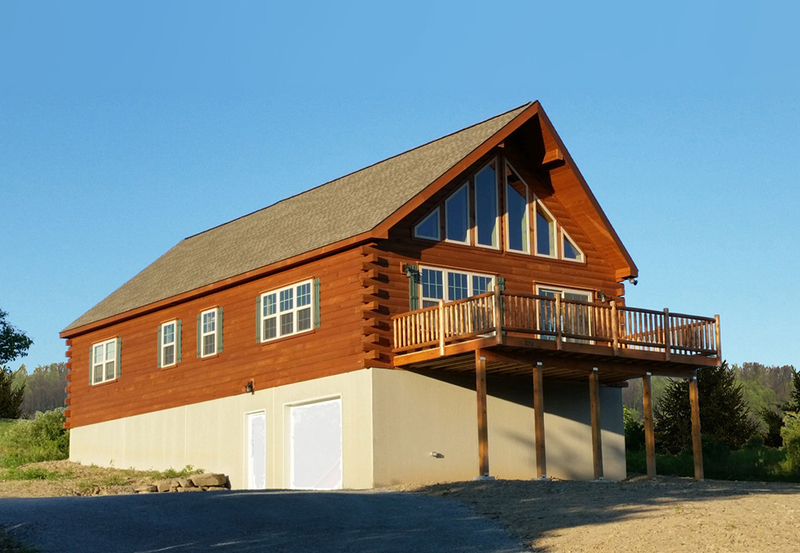 The Chalet style log sided home is ideally suited facing that awesome outdoor view! 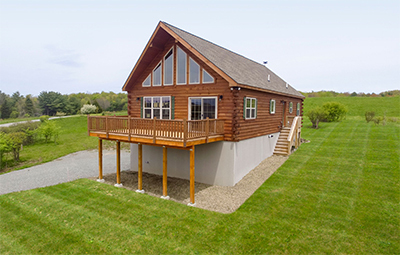 Whether you're situated looking out over the lake or gazing at the distant mountains, this home will maximize your line of sight. The prow roofline not only adds protection from the summer sun but also gives full passive solar heat in the winter. The vista glass adds a unique lodge style to the home. On the first story, the open concept gives a spaciousness to the main living areas. Bedrooms and bathrooms aren't compromised for space either with their 8' tall ceilings. Access the open loft by way of the beautiful wooden stairway. In the upstairs loft you'll feel like you're on top of the world while looking over the living area. As an added bonus, there's an unfinished room upstairs just waiting for your personal touch when expansion is desired. Open, light, spacious, warm, and inviting are just a few of the words that can be used to describe the log sided Chalet model home. Ask one of our sales reps about the many options available in order to customize your new home. 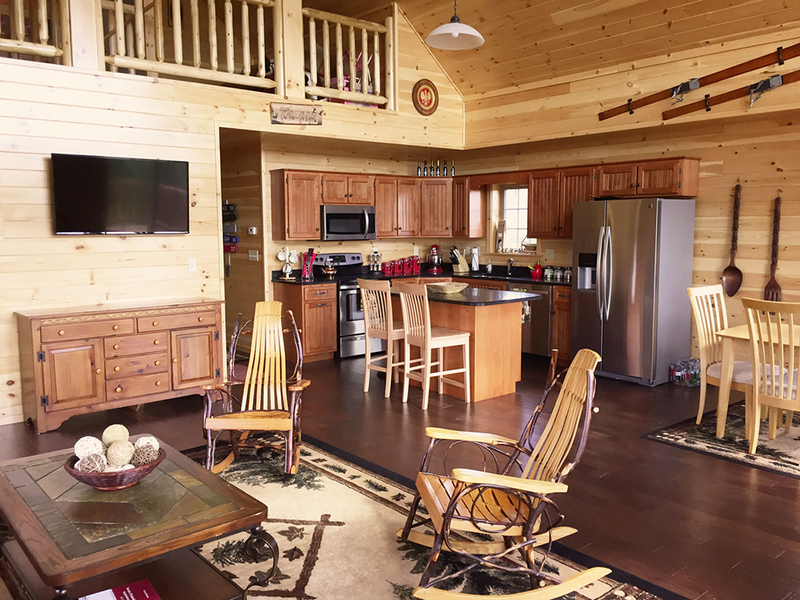 This log sided home has a lot of customer added features that were done by local contractors and may not be available on our standard homes. 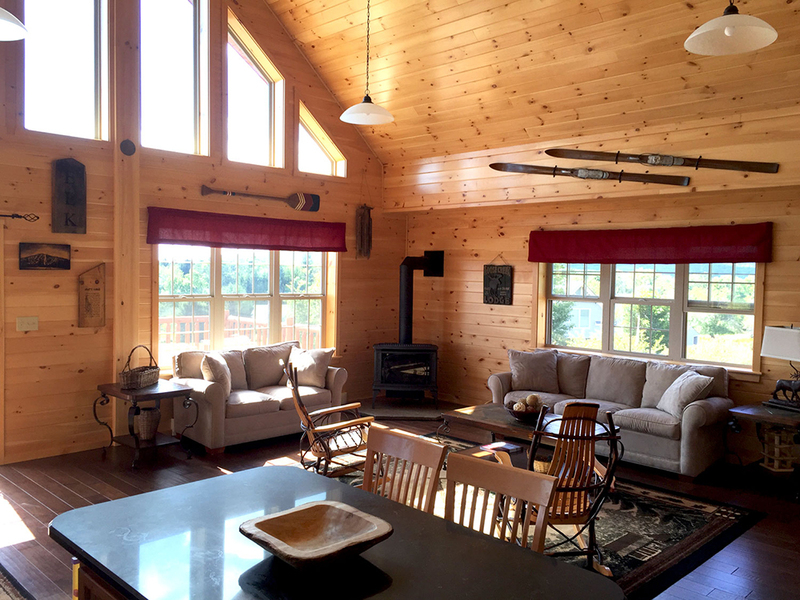 Please contact one of our local sales reps for an estimate on your own Cozy Cabin, log sided home! The staff at Hill View Mini Barns will take the time to make sure that your new home is one that you'll be pleased with for years to come. Each certified home goes through an inspection process as it's being built.